For the first time in four years, I missed posting an annual blog for Thanksgiving. In 2014, 2015, and 2016, I put together a list of all the things/people I was grateful for and posted it here on the internet for anyone and everyone to see. But I missed it this year. Not because I don't have anything to be thankful for, but because I wanted to dedicate a post specifically to folks that I've never thanked in writing before- strangers! 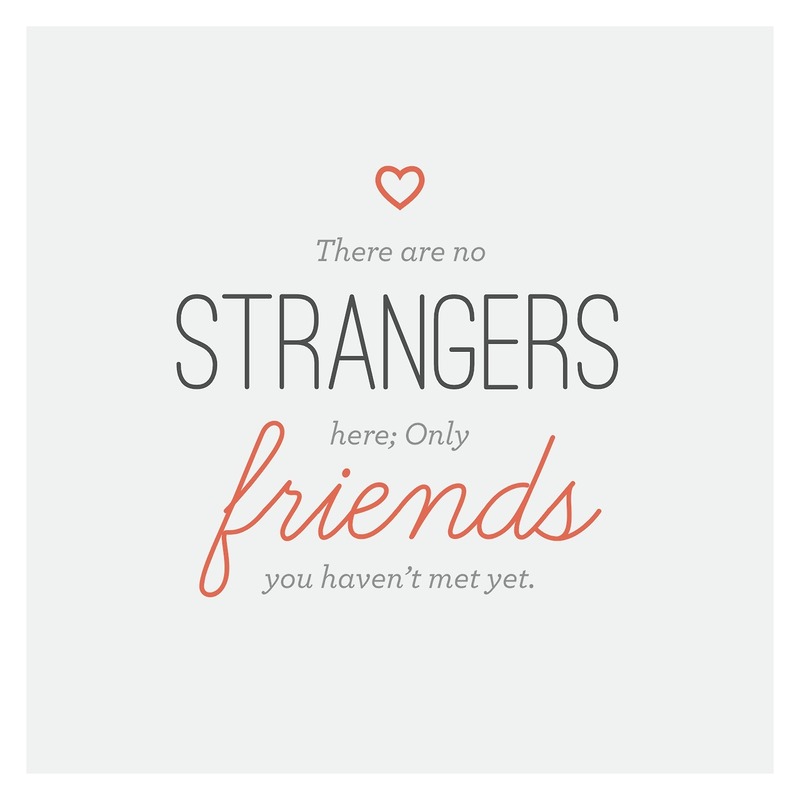 Not all strangers, of course, but the kind of strangers you meet through running races. Kids standing on the sidelines of a race with their expectant hands out, waiting for sweaty high-fives. Volunteers shouting "water" or "Gatorade" at an aid station until their voices are hoarse. 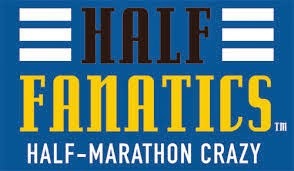 A coffee-drinking couple sitting on their front porch, sleepily clapping as the runners pass them. 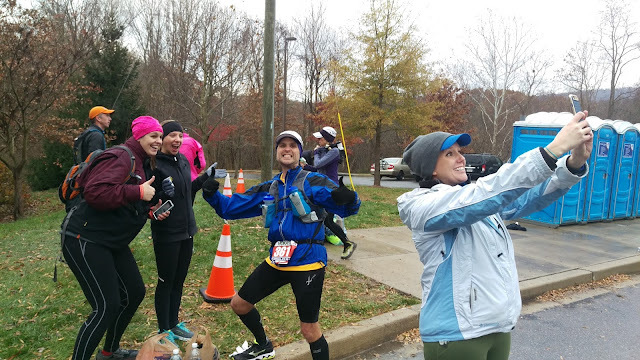 Enthusiastic cow-bell ringers, shouting encouraging words, motivating runners to keep moving forward. Clever sign makers whose messages always elicit a moment of laughter during a tough section of a race course. Medical personnel quick to jump in and help in both life-saving and blister-saving situations. Police and security keeping all runners, spectators, and volunteers safe. 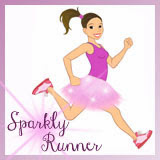 As a runner, sometimes I tend to think that races are all about me. My race, my pace, my experience. But that experience wouldn't be anything without all the strangers that come together to make it happen. I've always been grateful for strangers in the running community but during an experience I had a few weeks ago, I had such a deepened level of respect for all the people who make a race what it is. 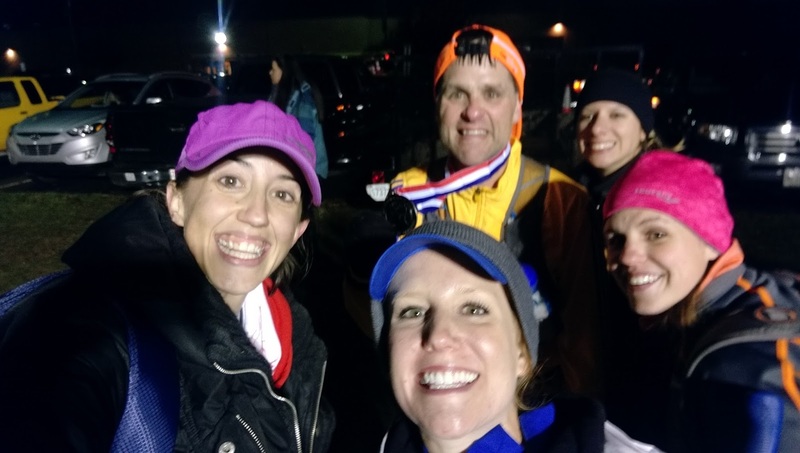 My friend Jeff, whom I affectionately call "coach," turned 50 this year and one of his goals was to run a 50 mile race for his 50th year on earth. 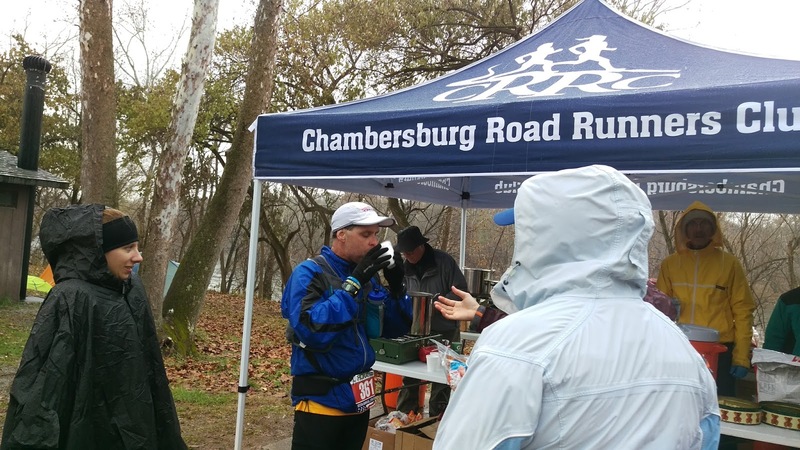 He chose to run the JFK 50 miler, a race that winds through highly technical trail, tow path, and road in an extremely challenging 50 mile course. 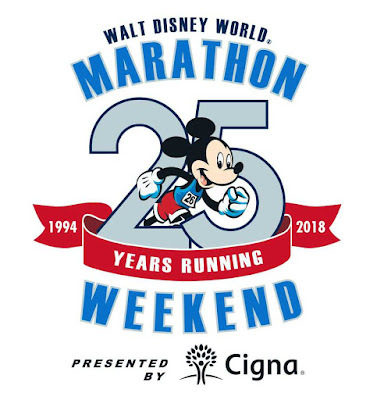 He set this goal a year in advance and some of our friend group reserved the date on our calendars with plans to help pace him during the race. Then the race changed its policies and folks were no longer able to run/pace with the race entrants. 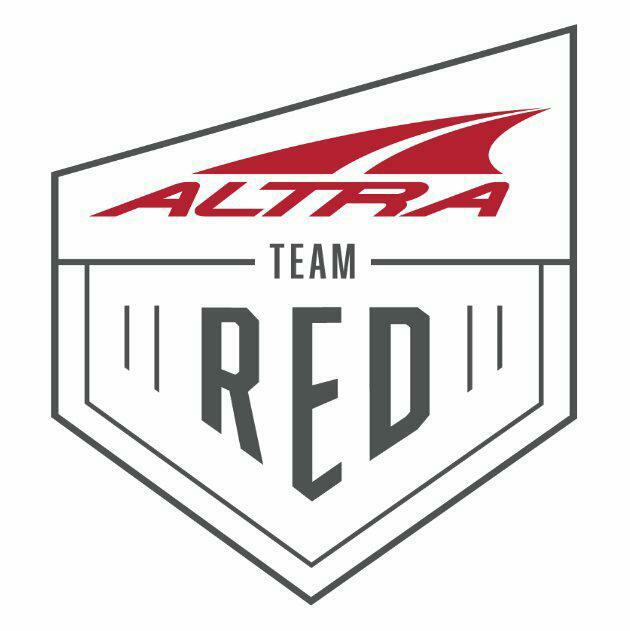 After exchanging emails with our group, some of us decided that we would come down and crew (meet Jeff at certain parts of the race and basically be his pit crew) and cheer for him- unbeknownst to Jeff. Through the expert coordination of our friends Lauren and Chelsea, myself and another friend, Steff, successfully surprised Jeff at mile 15.5 of the course and then were able to see him at two other points of the race. Selfies or it didn't happen. While you're waiting for someone to run 50 miles, you have a lot of downtime. In addition to exploring the surrounding areas (and finding super cute coffee shops and restaurants), we would get to each checkpoint a little early and cheer for other runners and then after we'd seen and helped Jeff, we'd stick around and keep cheering for folks. Cheering is serious business that requires a serious wardrobe. At about the halfway mark, there was an aid station set up and staffed by my local running group, the Chambersburg Road Runners Club. 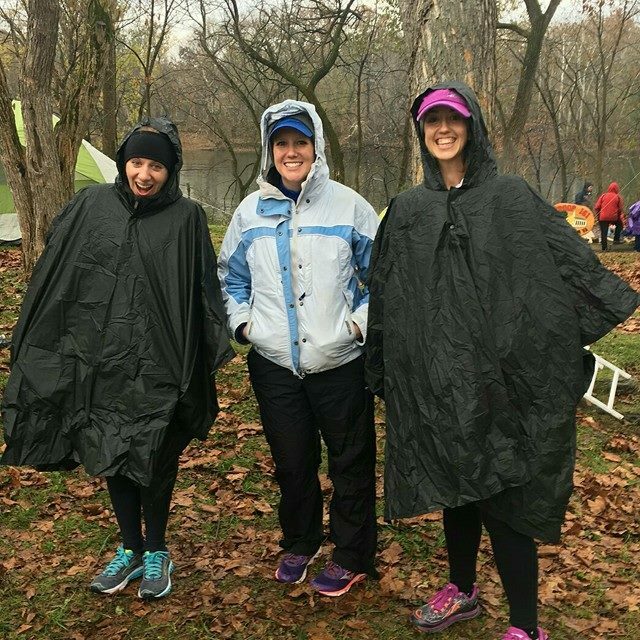 These volunteers were out in the cold rain (it was the WORST weather in the morning), preparing food and serving runners. It was so awe-inspiring to see these people, who didn't have any runners in the race, showing up and working their station to help runners. They were making soup, cutting up fruit, and refilling water bottles. For complete strangers. Jeff, slurping down some Ramen from the CRRC volunteers. But these volunteers weren't the only ones standing around in the rain cheering for runners. We kept seeing the same folks at each aid station/checkpoint, each waiting for their runner like we were waiting for Jeff. And each continuing to cheer for other runners once their runner came through. Towards the end of the race, we headed to the finish line about an hour before we expected Jeff to come through. We were all so inspired by the runners and we wanted to cheer for as many folks as we could. We got out our clappers and cow bells and screamed until our voices were gone. We danced, chatted back and forth with the DJs, and cheered our hearts out. When Jeff came through the finisher chute, I cried as I cheered. I can't articulate the emotions I was feeling- it was one of my most favorite experiences in the running community. He just finished running 50 freaking miles! In one day! I am still so impressed with his tenacity, strength, and grit. Way to go, Coach! Once we made sure Jeff was ok, Lauren took him inside to so he could get a shower and get changed and Chelsea, Steff, and I made our way back to the finish line to cheer for the very last finishers. Blurry, happy, finish line selfies are the best kind. CONGRATULATIONS, JEFF!! 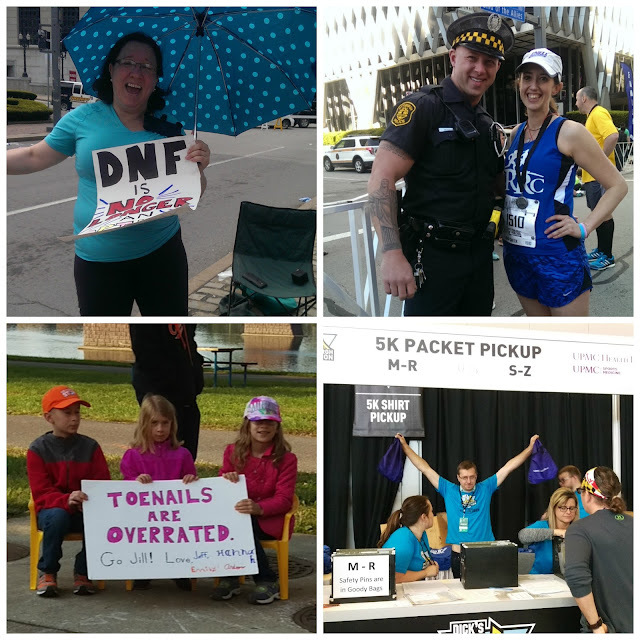 Every time I've run a race, there's been someone- a stranger- that has helped me significantly by doing something small. Every "Looking good, runner!," "You got this!," "Stay strong!" shouted from the sideline has helped me find the strength to keep going when I felt like quitting. 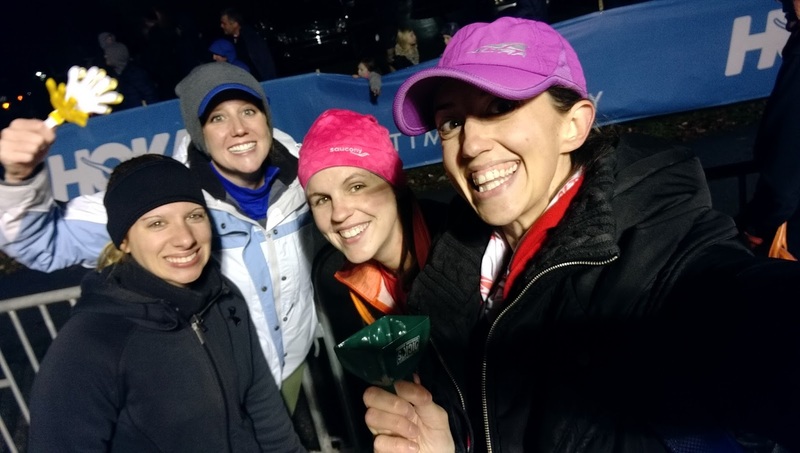 I hope our cowbell-ringing, clapper-clapping, shouting and cheering group of ladies were able to be somebody's stranger at the JFK 50 miler. Cheering is the very least I can do to give back to the community that's given me so much. So, thank you, to every stranger I have encountered out on the race course. You are appreciated more than you'll ever know. 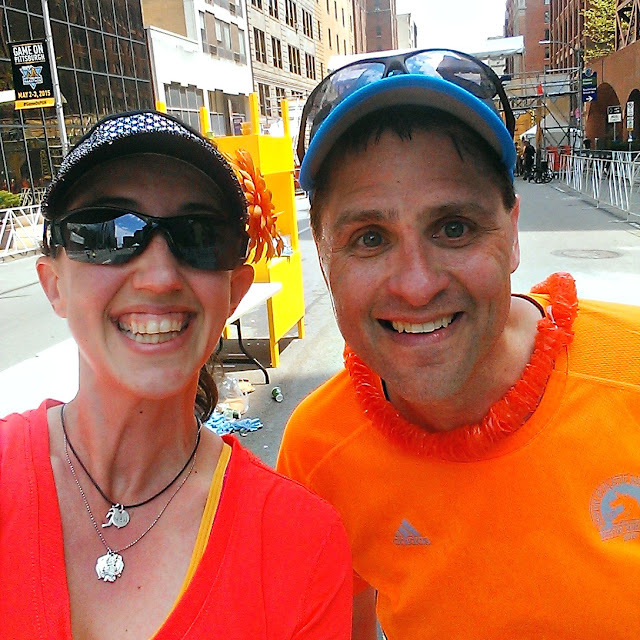 Have you ever encountered a stranger on a race course that made your day? Tell me about it in the comments! It was everything to get to cheer all of those people on. I love spectating races!